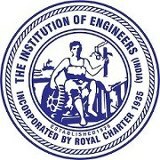 AMIE stands for Associate Member of Institute of Engineers from where any one can do their degree in engineering. The eligibility for AMIE is discuss bellow.Here you can start your AMIE course as a technician member and senior technician member.In AMIE which is provide by IEIndia has two type of membership. AGE : He/She shall have attained the age of 17 (Seventeen) years on the date of his/her application for election. EDUCATIONAL QUALIFICATION : He/She shall have possessed an educational qualification recognized by the Council as given in the Institution Examinations Rules (Volume I). ACADEMIC TRAINING : He/She shall, in the opinion of the Council, be making satisfactory progress in the acquisition of qualification for Corporate Membership. AGE : He/She shall have attained the age of 18 (eighteen) years on the date of his/her application for election or transfer, as the case may be. He/She shall be engaged in the engineering profession as a pupil or apprentice or assistant under a Corporate Member and shall, in the opinion of the Council, be making satisfactory progress in the acquisition of qualification for Corporate Membership provided that temporary unemployment is no bar to his election. EXAMINATION : He/She shall possessed either (a) an accredited diploma examination in engineering or technology or its equivalent as recognized by the Council or (b) such other examination recognized by the Council as exempting from passing Section A (Non-diploma) Examination of the Institution. EDUCATIONAL QUALIFICATION : The candidates who have passed an examination, as listed in the Part I of Appendix II (see Institution Examinations Rules — Volume I), shall be eligible to apply for Senior Technician Membership. The candidates who possess any qualification as listed in the Part II of Appendix II (see Institution Examinations Rules — Volume I), shall be eligible to apply for Senior Technician Membership, claiming complete exemption from Section A Examination of the Institution.